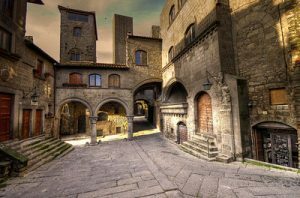 Tours in Viterbo – Viterbo is the true “beating heart” of Tuscia. The town saw its greatest splendour in the middle ages, but its history is a long and varied one that spans across the millennia. The private tour in Viterbo departs from your hotel in Rome at 8,30 am. After about 1,15 h we’ll reach Viterbo, a town of 65,000 inhabitants and we’ll have a guided tour of its medieval neighbourhoods. Viterbo was first settled by the Etruscans, whose traces were discovered right on the hill where the Cathedral now stands. In Roman times, the city became a strategic intersection along the busy Via Cassia. In the 12th century, work began on the city’s massive defence walls, which are wholly intact even today. The material used was peperino, a characteristic local volcanic stone of a sombre grey colour. 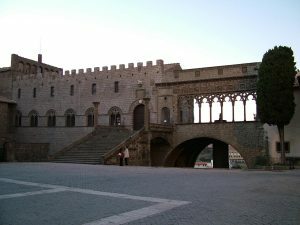 The various gates providing an opening in the walls (Porta Romana, Porta Fiorentina, etc.) lead to the medieval town centre, including the splendid quarter of San Pellegrino, Palazzo dei Priori and Palazzo dei Papi. Palazzo dei Papi, or the “Popes’ Palace”, is so called because it was the place chosen by the Roman popes as their abode for several decades. They adding buildings and monuments to Viterbo, turning it into a city of worldwide importance. 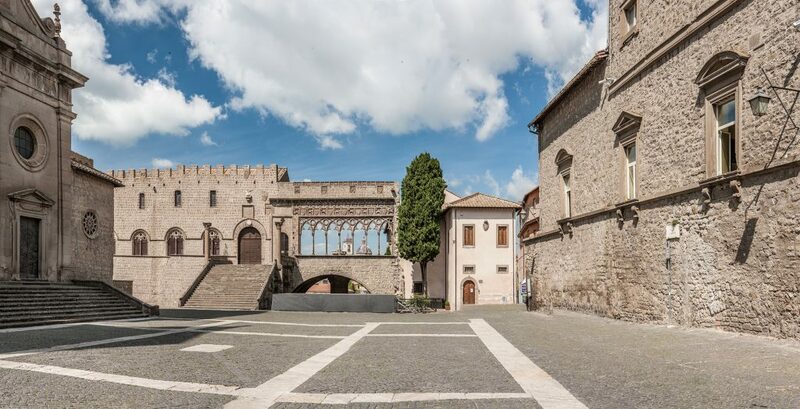 Yet Viterbo is more than just history: one of its strong points is the local cuisine, which you will experience having a lunch in an excellent local restaurant. Not to mention its famous thermal waters, which you will enjoy in the afternoon with a rejuvenating bath at the Terme dei Papi thermal spa. At about 6,00 p.m. we’ll depart towards your hotel in Rome. We’ll reach it at about 7,30 p.m.
Rates per person – include all activities mentioned in the itineraries with hotel pick up / drop off and taxes.